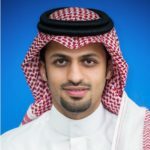 Nader is a senior research associate whose research interests include natural resource economics and economic modeling. 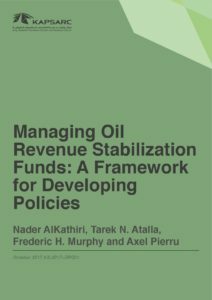 His current study focuses on the role of sovereign wealth and stabilization funds in oil exporting countries. 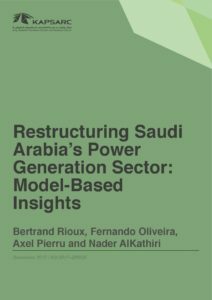 Nader also works on the restructuring of the electricity market project, analyzing how market design impacts the economics of the electricity sector. Previously, he worked on understanding regional price differentials in the crude oil markets. Nader co-developed the KAPSARC Global Oil Trade Model (GOTM). KAPSARC: The purpose of this paper is to assess Middle East crude oil exporter strategies to maintain or expand market share in Asian oil demand. It also analyses the impact of changing global crude oil flows on key oil exporters’ revenues and on inter-regional price differentials by utilizing the KAPSARC Global Oil Trade Model (GOTM). Oil trade between the Gulf Cooperation Council (GCC) and Northeast Asia (NEA) will be subject to new pressures as major crude oil producers from outside the region compete to place their barrels in Asia. 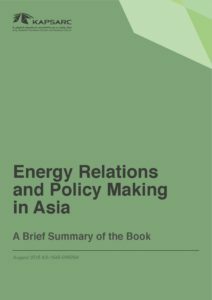 African, Latin American, and Russian flows of crude are increasingly redirected towards Asia, challenging the traditional large exporters in the Middle East. GCC oil producers are engaged in a number of initiatives to protect market shares in Asia. © The Editor(s) (if applicable) and The Author(s) 2016. It is popularly believed that importers of oil diversify their suppliers to achieve security of supply and that exporters diversify their customer base to achieve security of demand. However, this diversification comes at a cost, compared with buying from or selling to the most economically attractive counterparties— analogous to paying an insurance premium. In fact, our research suggests that this illustration may not properly describe the outcomes for large individual producers or consumers (or coalitions of these) and that diversification can also be a strategy for revenue maximization or cost minimization. We have developed KAPSARC’s Global Oil Trade Model (GOTM), which is calibrated to the configuration of the global oil markets in 2012, to demonstrate our framework. Our model shows that, in 2012, the volumes of supply and demand and the trade flows constrain the valid candidates to combine diversification with economic gain. Only the trading pair of the Arabian Gulf exporters and North East Asian importers can benefit. This is the illustration that we develop in this paper. However, a future reconfiguration of crude flows—perhaps with growth in North American exports to the Pacific or a major pivot by Russia to sell material volumes to China and other North East Asian customers—could introduce new players. 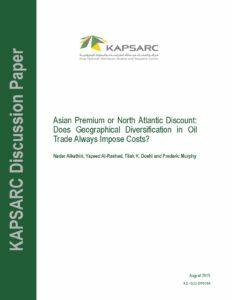 KAPSARC’s framework may prove valuable to understanding potential future dislocations in crude oil trade flows.